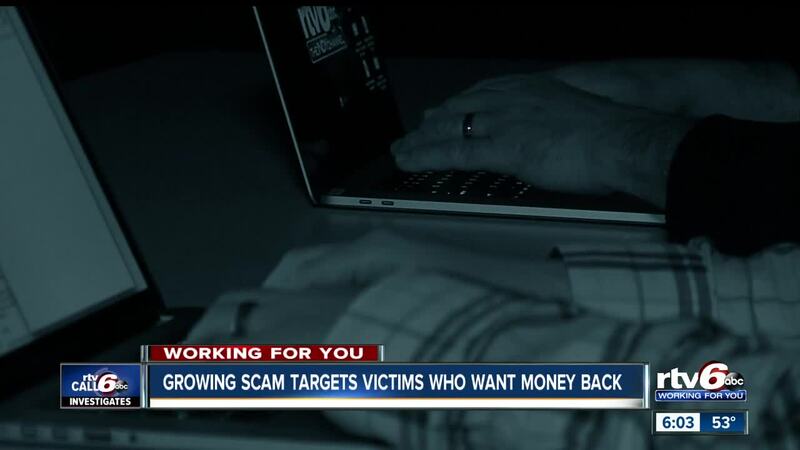 INDIANAPOLIS —The Indiana Attorney General’s office has a warning out about a growing scam that can victimize you for the second time. In a “recovery scam,” typically you receive an email from a business saying you’ve been a victim of a scam. The business then offers to help you go after the scammer and get your money back. However, the Indiana Attorney General’s office says recovery scammers target people ask victims to pay upfront fees to recover the funds. They may also claim to be lawyers, government officials, or consumer advocates to gain the consumer’s trust. DeNardi said the scammers likely have no idea if you’ve been scammed before or not. "My guess is they're sending that video to lots of people, and some of the victims of the scam it actually applies to them, and so they are more likely to respond," said DeNardi. Catching scammers and getting your money back is nearly impossible because most scams originate overseas. If you’ve been a victim of a scam, contact local police and file a complaint with the Indiana Attorney General’s office. • Don’t trust calls, emails, or letters from someone who claims to be able to recover money lost in a scam if you pay them a fee. • Know that government agencies do not charge for their work. • Never provide your bank account or credit card information to pay upfront fees.